Specifically looking at what God is and what God is doing. Phrases such as the “Dwelling of God”, “Wrath of God”, “Gift of God”, “Kingdom of God”, etc., are not listed here. 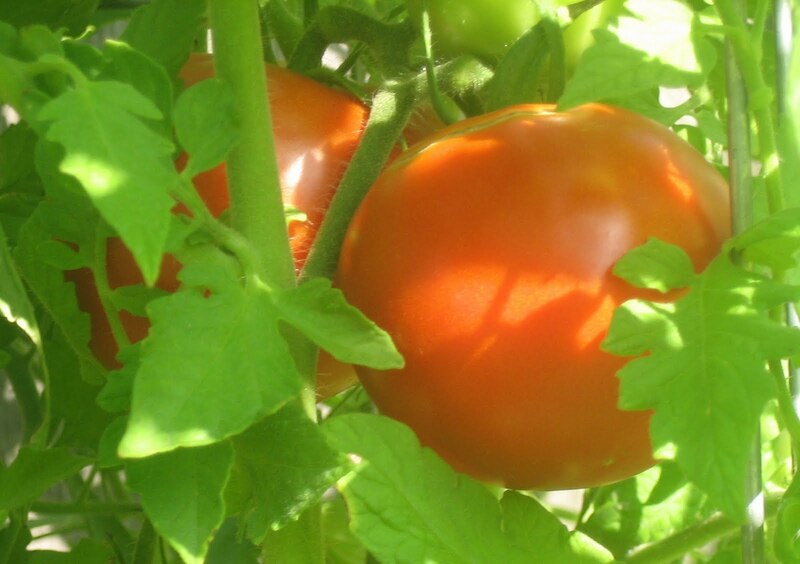 What’s better than fresh tomatoes, picked from your own garden? We have been enjoying eating fresh tomatoes, sprinkled with a bit of garlic salt and fresh basil, this summer. I was looking for an after-work snack, so I went to my little garden and picked a pretty red tomato. As I started to slice it, I realized that my pretty red tomato was hiding something dark and ugly. Internal BER. I had no idea something was wrong with my tomato until I cut into it. The insides were being consumed by this black, yucky disease. After discovering that my tomato had rotted from the inside, I immediately threw into the trash and picked another one. Thankfully, I was met with healthy red flesh when I sliced it. I was EXPECTING the first tomato I picked to not only taste good, but to look wonderful on the inside. I didn’t even question that it could have been diseased. Try as we may to look “good” for our family and friends, God knows what is really going on inside of us. What is baking? Baking is the act of creating something that is different from the materials that went into it. Have you ever thought of events in your life... ideas... purposes... decisions... being the ingredients that make you you? It isn't something I regularly think about, but it is something I am aware of. I am not the same person I was five years ago and I will not be the same person I am now, five years into the future. As much as years on this year affect our lives, I want to always trust that God is in control of every situation. Psalms 66:10 says, "For you, O God, tested us; you refined us like silver." Are you familiar with the process of refining silver? I certainly am not. I knew it involved extreme heat...but 1,200 degrees Celsius of heat? That's 2,192 degrees Fahrenheit! I can't even fathom that! If an 350 degree Fahrenheit oven can make a gooey mess of water, flour, yeast and salt and beautiful structured loaf of bread...imagine what God can do with us. I want to be molded by the hands of God and made more perfect for him. I want to be refined...for all my impurities to be burned out. Will it be a pleasant process? No. Will it hurt? Definitely. But, will it be worth it for eternity? Absolutely. How will I ever know if my faith is genuine if it is never tried? My comfort is that during the refinement process, God will never leave me or forsake me. How do I know this is true? It is written in the Bible. "The Lord himself goes before you and will be with you; he will never leave you nor forsake you, Do not be afraid; do not be discouraged." "As I was with Moses, so I will be with you; I will never leave you nor forsake you...Be strong and courageous. Do not be terrified; do not be discouraged, for the Lord your God will be with you wherever you go." So I know that whatever comes my way, the Lord is with me. And the Lord will take my imperfections and create something totally different...something beautiful. I bring you Baking for Comfort.